After brunch, we walked over to the wine and gift shop, where I learned more about the brewing operation. Interesting note: they mill the grain on site and grow hops used in the brews. 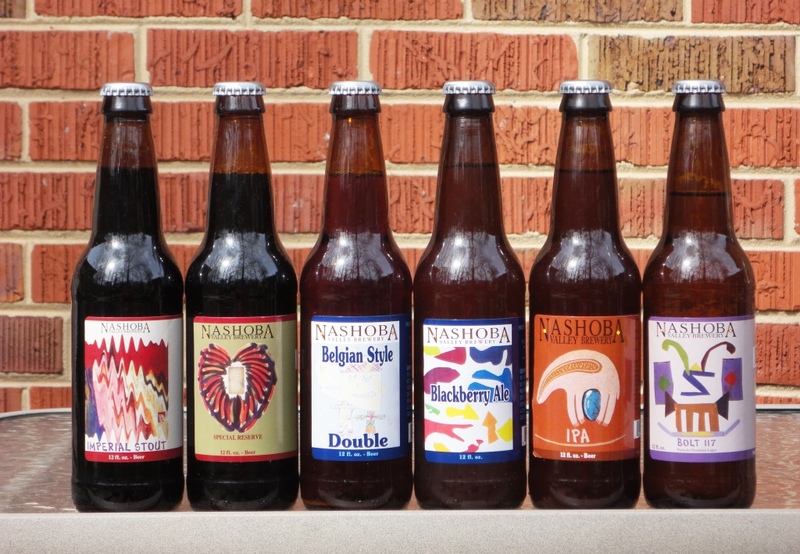 I brought the six pack back to Maryland, and enjoyed a Nashoba Valley beer tasting on a recent weekend. All of the beers were excellent, and we really enjoyed our visit to the brewery. I would love to go back in warmer weather! ← Saranac – What Ales You?